Yeah, I had big plans of hiking the highest point in the lower 48. I had been hiking all summer to as high as 13,000 feet and as long as 15 miles in one day. 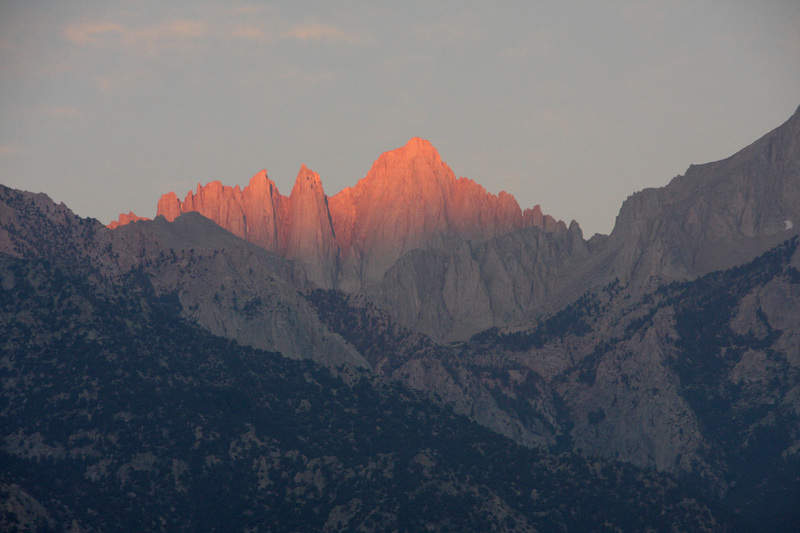 I was now ready to hit the big one...Mount Whitney 14,491 feet. Two days before my scheduled assent, I got sick. I couldn't believe it. I made the trip anyway, just in case I started to feel better. I didn't. I got worse. 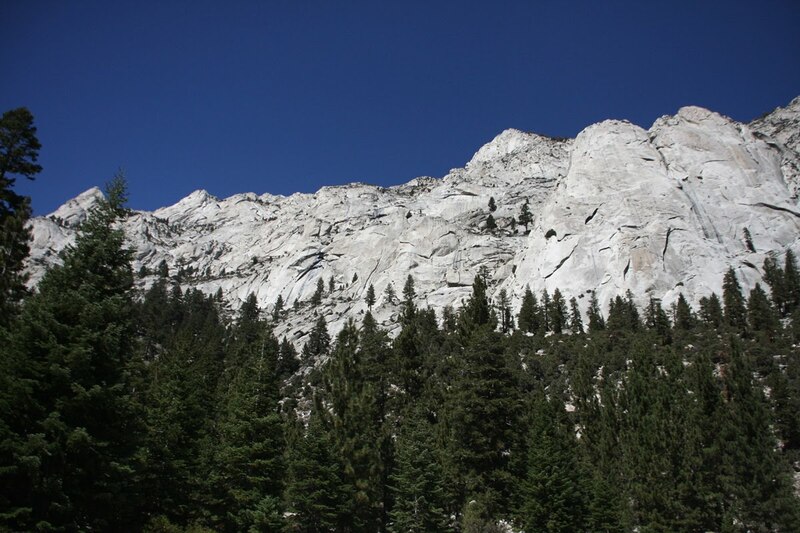 I went through the process of acquiring my permit and driving to the trailhead portal. I hiked up the trail for a while to just check my strength and endurance. It was not good at all. I was too weak from my illness. I arrived at the portal a day early to acclement to the altitude so I just hung out for the day to see if my health would improve. Bummer. I felt terrible. I decided to about the hike. Mount Whitney is nothing to play around with. I need all of my horse power to attempt Whitney. 66% of the people who attempt Whitney fail even when they are healthy. 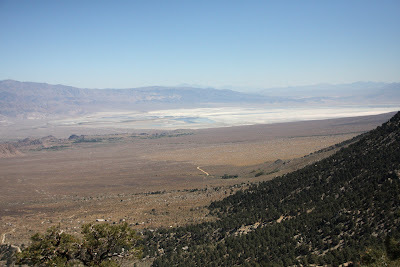 I certainly didn't want to get up there and get into trouble, so instead of hiking to the highest point, I decided to hike to the lowest point in the lower 48 states...Badwater Death Valley. 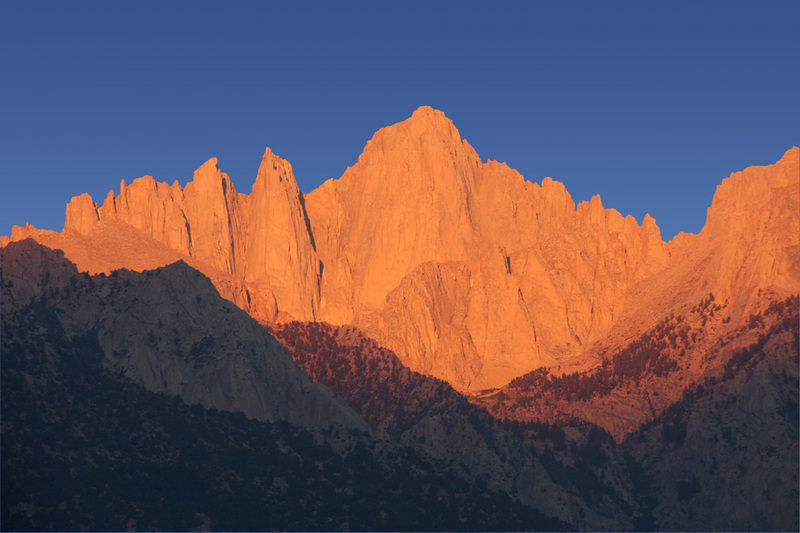 Since Mount Whitney is the tallest mountain, it receives the rising suns light first of all of the mountains. These are the walls around the Whitney portal. It's rather intimidating to look up and know that is where you have to go. This looks high above the valley doesn't it? If you said "Yes"...wrong. It is just the starting point to Mount Whitney. 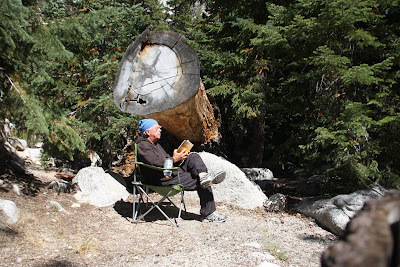 Here I am a day prior to my scheduled hike to Mount Whitney. I am hydrating myself and acclementing to the altitude. I'm sitting next to a creek reading about how to pack light and hoping to get healthy. It didn't work. 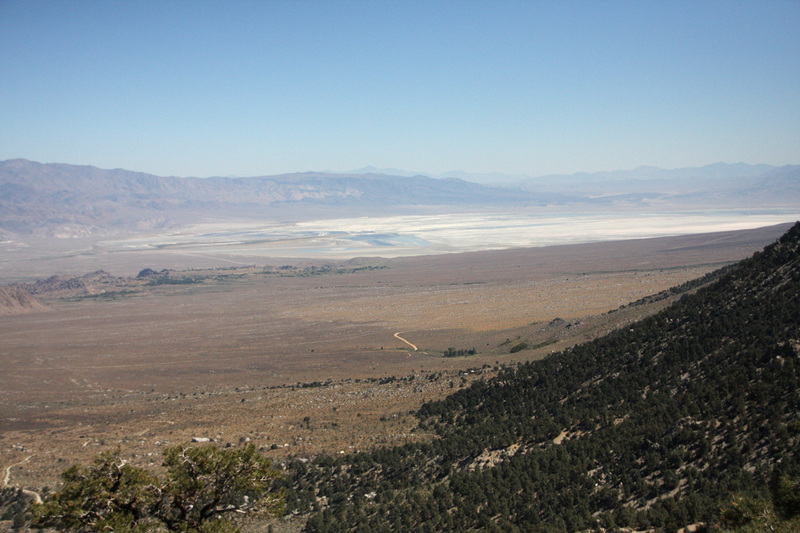 Shortly after this picture was taken I decided to head for Death Valley.